Welcome one and all to another reporting on HANA tutorial. In this one, we find ourselves tackling one of the most frequently used reporting tools in the SAP Business Objects reporting suite – SAP Business Objects Crystal reports. 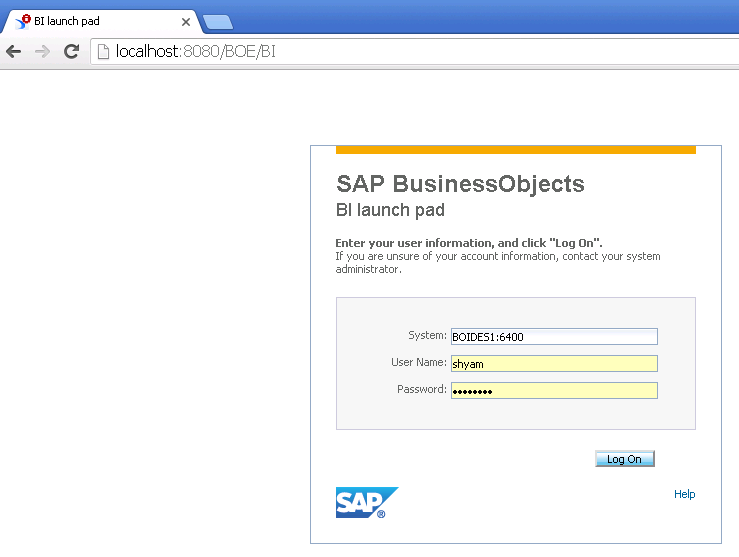 Welcome all again to the SAP Business Objects Crystal Reports on SAP HANA tutorial for beginners. In this tutorial, we will learn how we use Crystal reports to produce highly formatted pixel perfect operational reports. What “Highly formatted Pixel Perfect” actually refers to a report that needs to be highly precise in terms of placement, margins and other cosmetic properties. When I say this, I mean that the distance between two points on a crystal report remains same. WebI reports on the other hand is not as polished. Crystal reports can also be developed online on a web browser without installation of clinet tools on your PC. Enter your username, password and the system information provided to you by the client. The usual Launchpad page opens up. 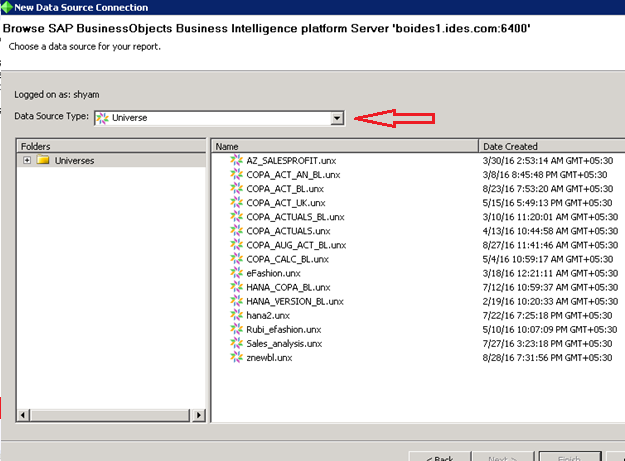 Click on the crystal reports icon marked by the red arrow. What happens next is dependent on your web browser settings. For some of you, a dialog box might pop up. In such a case, press “Open”. For others, like me, the launcher file might download as marked by the arrow below. In such cases just double click on the downloaded file to run it. Both cases would give you the same result. 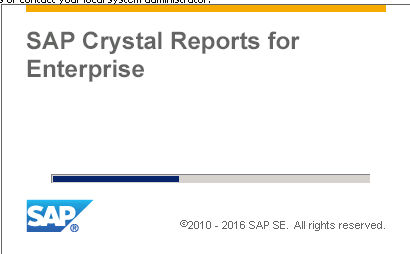 Crystal reports gets launched. If you don’t get this, check if you are getting a java error in which case, you would need to install the latest version of java on your PC. Once open, you would see the crystal reports designer screen. As in any other reporting tool, you would first need to define the source of data and the data set. Click on Browse repository to start selecting a data source. The default source shown here is the universe. To view more sources, open the drop down. 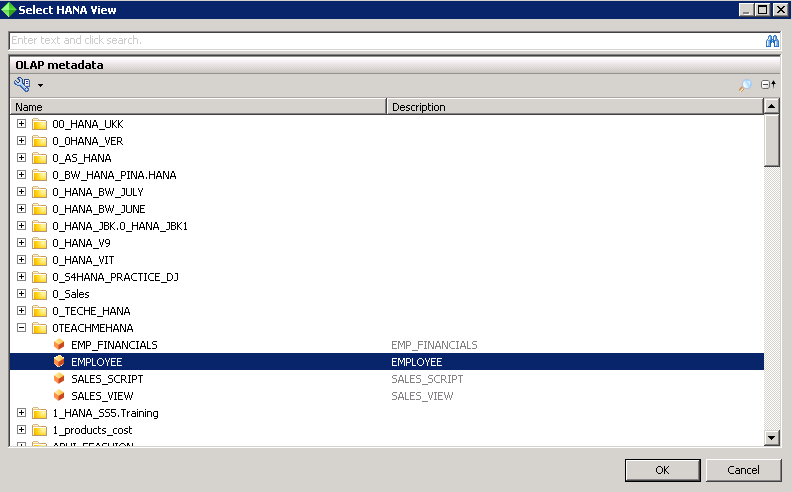 We have multiple options here, but as you can see, Crystal reports offers direct connectivity to HANA views. Let’s choose that as source here. 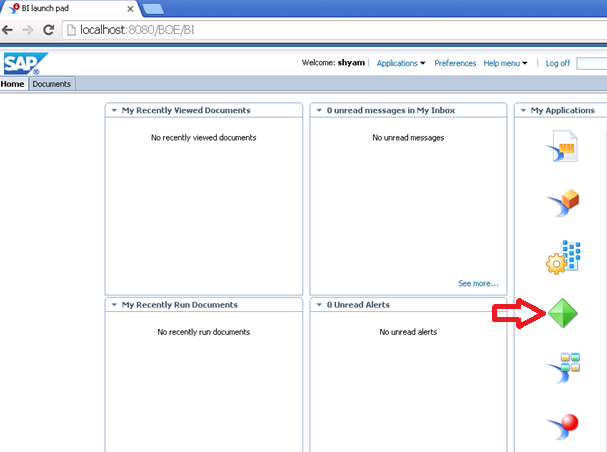 Once you click on that, it opens up a the list of folders on the Business Objects Repository. 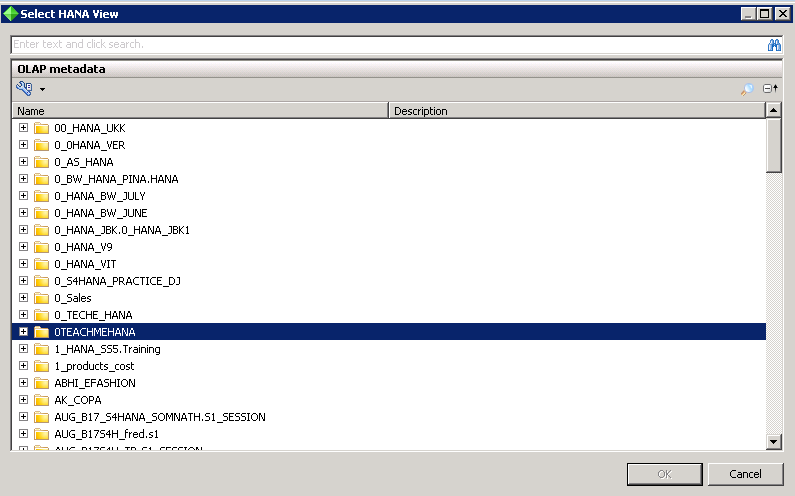 Here, we had an OLAP connection published inside the TEACHMEHANA folder. Let’s select that and press Next. 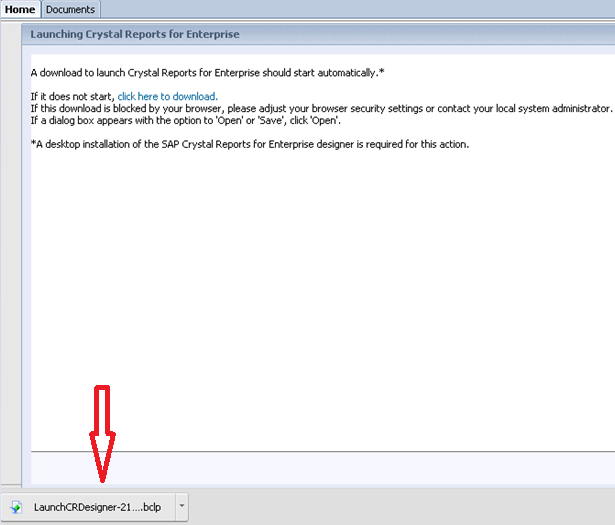 This opens up the list of your SAP HANA Packages as folders in the below dialog box. 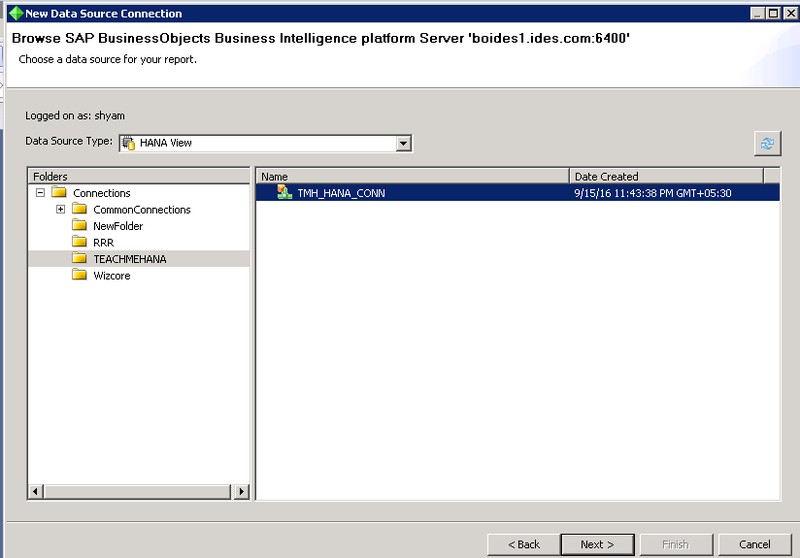 Our development package in HANA was TEACHMEHANA and this is where we would find all our information views. Expand this folder to find the views inside of it. As seen below, we have all the views we created in this tutorial inside that package. 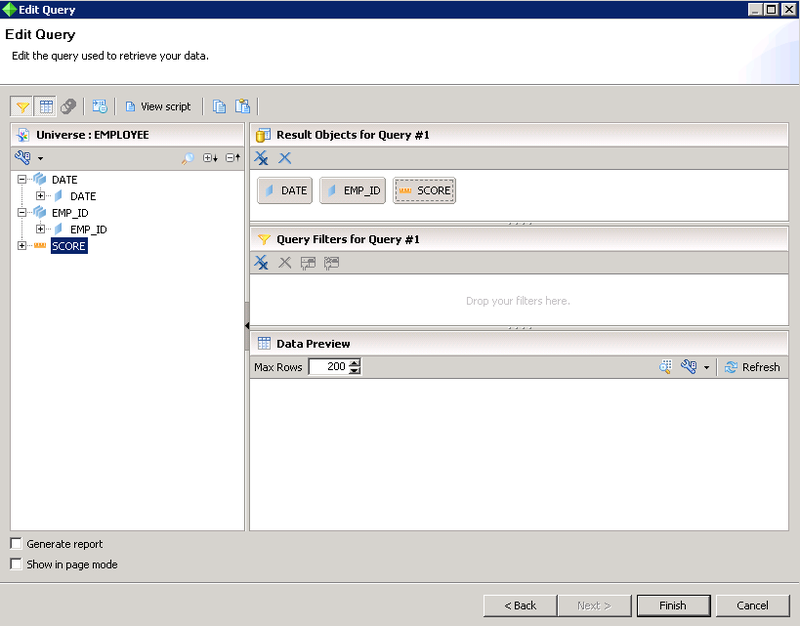 Double click on the EMPLOYEE view to select it as source for this example. 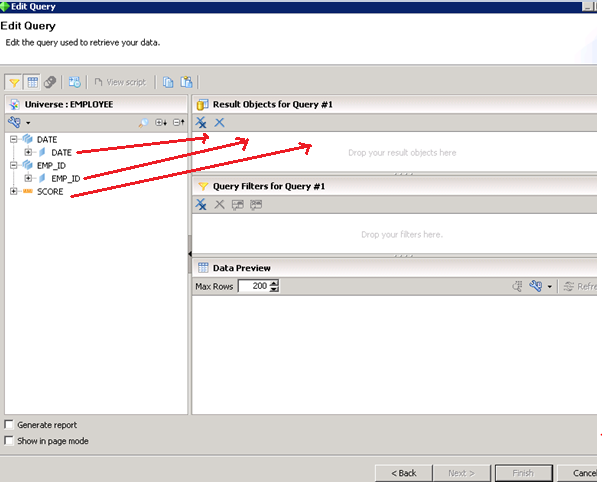 This opens up a query panel like the one we used to have in WebI. 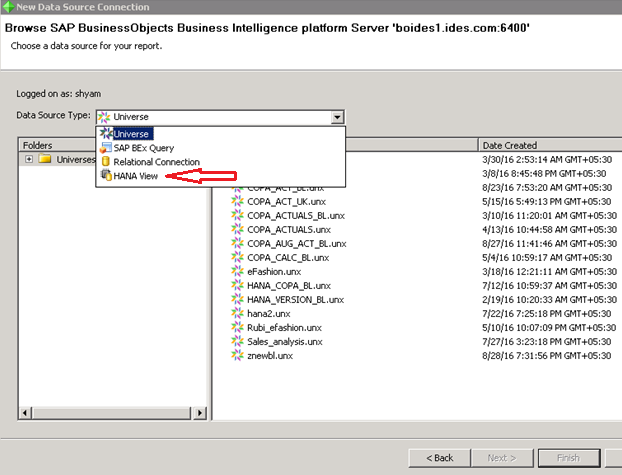 Drag the objects you want in the report to the “Result Objects” pane. Any type of filters can be also applied in the filters pane below, if required. Here, we apply no filters and press finish when done. This opens up the data explorer on the left side (which houses the fields you selected in our previous step) and the design pane on the right. 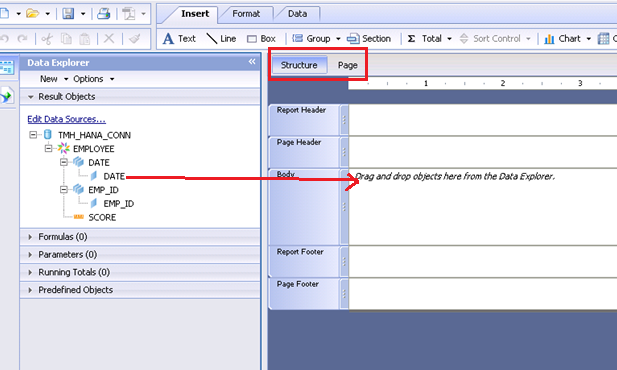 The design pane has 2 components – The Structure and the Page as marked below. The structure is where you define the skeleton of the report. Here, you provide the exact distance between columns, the fonts, colors , alignments and so on whereas the Page is where you would see how the data actually looks after all these alignments in the structure are completed. Let’s understand more as we develop this report. To start off, drag the field DATE into the body of this report. Continue reading the rest on the next page..